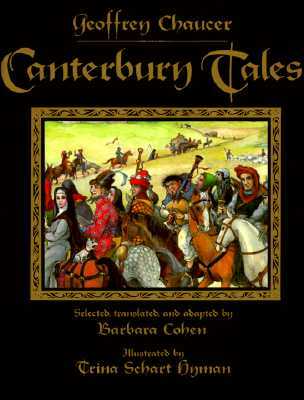 A vigorous treatment of The Nun's Priest's Tale, The Pardoner's Tale, The Wife of Bath's Tale, and The Franklin's Tale. "This carefully researched and lively edition...is richly and beautifully produced....One could not ask for a more enticing introduction to Chaucer's world." -- Publishers Weekly. Trina Schart Hyman's Saint George and the Dragon was honored with a Caldecott Medal. She lives in Lyme, New Hampshire.